A good starting point is to become a member of the Trust, which will mean you receive regular emails about sailing. We can take non-members sailing as guests, so if you’d like to come as see what it’s all about, then a day sail on Barnabas or Soft Wing would be ideal. We always welcome new people, and it really doesn’t matter how experienced you are – after all, we exist to help people experience sailing working boats. The best way of coming for a sail is to contact the relevant skipper and ask. Email often works well in the first instance. Any member can suggest a day sail, passage or cruise. Before doing so, you may want to consult the Sailing Calendar to see if you can join a planned event or to check availability. Barnabas is usually based in Moushole or Newlyn, although in August she can often be found on a mooring in Falmouth. Many of our sails are also posted on our Facebook group. Barnabas is the boat that goes furthest afield: in recent times she has been round the UK, to Scilly, France and to all sorts of places on the Cornish coast. Contact Toby Floyer to ask about sailing with Barnabas. 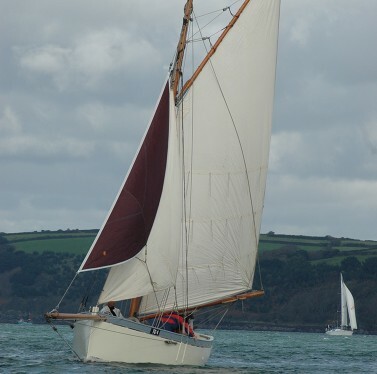 Soft Wing, a gaff-rigged working boat, is based in Falmouth, although it is not uncommon to see her over in the Helford Estuary or at other local beauty spots. Contact Nick Marsh to ask about sailing with Soft Wing. 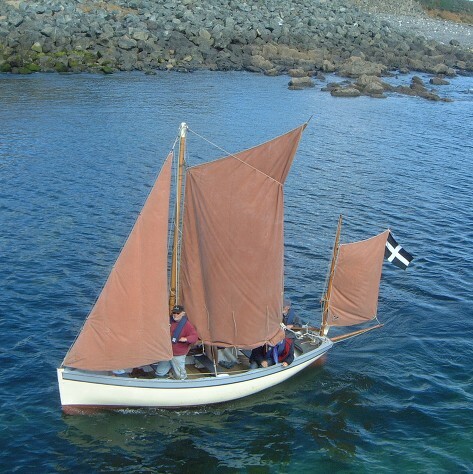 Members of the Trust sail Ellen from Mousehole on a regular basis in the summer. Contact the boat custodian in the first instance.